Hawaiian Garden is an original design by Bette Runnels, a California native, but Hawaiian enthusiast! 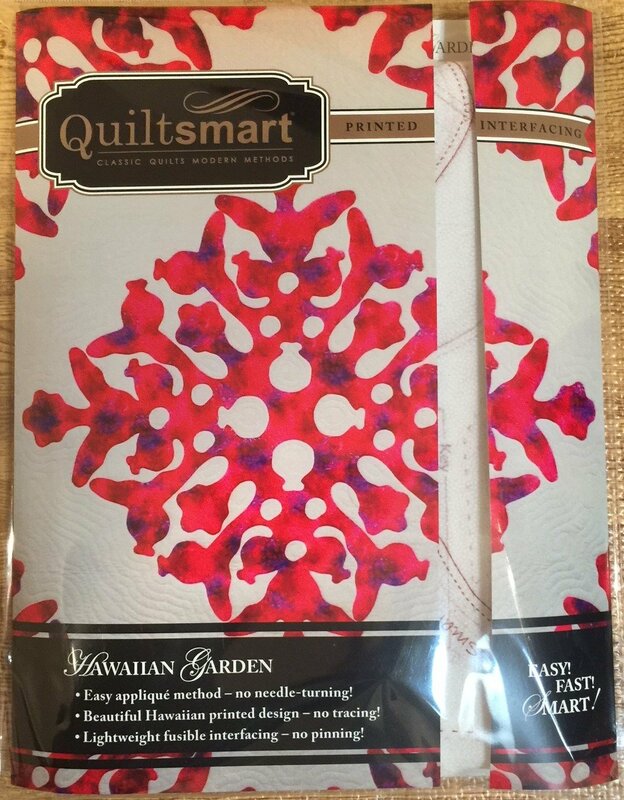 Hawaiian designs are traditionally considered difficult - but the Quiltsmart method and Bette's easy lines make it EASY! You will get BEAUTIFUL curves, without the tedious needle-turning! METHOD: "Zigzag Applique"! Just stitch, trim, turn, fuse, and zigzag. No needle turning! Comes in a 9" x 12" pack with instructions and 8 panels of interfacing to make a Wall/Lap (4 panels), Twin (8 panels) or Queen (8 panels) size quilt!